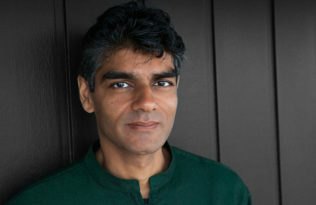 From the connected events of the American, French, Haitian, and failed Irish Revolutions, to the Anthropocene’s birth amidst enclosures, war-making global capitalism, slave labor plantations, and factory machine production, Peter Linebaugh’s new book, Red Round Globe Hot Burning throws, readers into the pivotal moment of the last two millennia. Taking its title and cover image from William Blake, the book traces the revolutionary aspirations as exemplified in the lives of Edward and Catherine Despard, and even Blake. 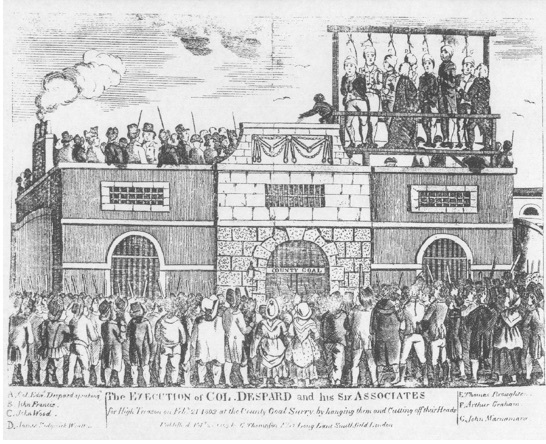 In the below excerpt, Colonel Edward (Ned) Despard speaks from the gallows, where he was publicly hanged and decapitated in London before a crowd of 20,000 for organizing a revolutionary conspiracy to overthrow King George III. His black Caribbean wife, Catherine (Kate), helped to write his gallows speech in which he proclaimed that he was a friend to the poor and oppressed. because he has been a friend to the poor and to the oppressed. But, Citizens, I hope and trust, notwithstanding my fate, and the fate of those who no doubt will soon follow me, that the principles of freedom, of humanity, and of justice, will finally triumph over falsehood, tyranny and delusion, and every principle inimical to the interests of the human race. I have little more to add, except to wish you all health, happiness and freedom, which I have endeavoured, as far as was in my power, to procure for you, and for mankind in general. The government was afraid of “equalization.” To prevent oratory on its behalf the sheriff interrupted, demanding that inflammatory words not be used. What else might he have said? This is the link to the revolutionary commons. It is the combination from the famous triad of two of its elements, equality and fraternity, which compose one meaning of the commons. As it was, the speech was quickly reproduced: in The Times the next day, which is one thing, but also in leaflet form in Wolverhampton, which is quite another. Its printer, an Irishman named John English, was arrested. Despard’s is a carefully wrought speech in a tradition developed by the United Irish, who whenever possible turned the tables on their prosecutors. We can make four observations about the speech. First, the speech is a continuation of the struggle, with active participation by the multitudes, who crammed the lanes and avenues to bear witness. Second, he twice addresses the crowd as “citizens,” the egalitarian and revolutionary mode of address that levels the distinctions of “Sir,” “My Lady,” “Your Majesty,” “Madame,” “Your Excellency,” and so on. Originating among the French Jacobins, the word had by this time become international. It is both egalitarian and democratic in that it also lays claim to self-government. Citizenship did not mean loyalty to the state per se; it had two other meanings—allegiance to humanity and to the revolutionary project. Third, it is a rhetorical production relying heavily on triads: a triad of accomplishments (“served my Country faithfully, honourably and usefully”), a triad of vices (“triumph over falsehood, tyranny and delusion”), and three triads of virtues (“the principles of freedom, of humanity, and of justice,” “a friend to truth, to liberty, and to justice,” and “health, happiness and freedom”). These last remind us of the triad that rang through the epoch beginning in 1789, namely, fraternité, égalité, and liberté. Constantin Volney explained in his revolutionary manifesto The Ruins of Empire (1790) that égalité ought to precede liberté, since the former is the basis for the latter, and from “the minutest and most remote branches of government [égalité ] ought to proceed in an uninterrupted series of inferences.” These triads of oral knowledge were prompts for debate and discussion. Years later, when Frederick Engels identified this year as the one when the division, as he saw it, between utopian and scientific socialism occurred, he fell into a similar triad. For him, love, liberty, and loyalty were a triad implying classless and mutual commons. . . . The mass hanging atop the Horsemonger Lane Gaol of Edward Marcus Despard, John Francis, John Wood, James Sedg wick Wratten, Thomas Broughton, Arthur Graham, and John Macnamara. Morning Chronicle, 22 February 1803. Within days of the mass execution a single-sheet broadside costing two pence was broadcast about London’s streets and chapels. It is confused, ambiguous, and pretentious in the way that unconventional literary efforts may seem to be; nevertheless, amid its apparent incoherence is a powerful subtext. A torn and soiled copy is preserved in the National Archives, having been scooped up by authorities at the time for study. Presented in a jumble of type sizes and littered with typographical doodads, it was called “A Christian Effort to Exalt the Goodness of the Divine Majesty, even in a Memento, on Edward Marcus Despard, Esq. and Six other Citizens undoubtedly now with God in Glory.” With its declaration of “citizens” resting in “glory,” the title mixes revolutionary and Christian phraseology. It begins by citing the Oakley Oath to form a new constitution; it alludes to Ireland and to George Washington; it stresses the butchery of the decapitation; it compares Despard to Job, to St. Stephen (stoned by Paul), and to Uriah (slain by King David); it characterizes England’s wars as wars against republics. Subtitled “An Heroic Poem: in Six Parts,” it is formally heroic in its use of poetic couplets and in its content. The second half presents an astonishing and nearly incoherent cry against enclosures and cattlemen before concluding with hints that the evidences at the trial were purchased with government money. A prose footnote quotes the political agronomist and encloser Arthur Young and implies that the landed gentry deny cottagers even a cow or a pig. The fifth part of the poem is a commentary on Oliver Goldsmith’s “Deserted Village,” the most well-known poem against enclosure of the commons produced in the eighteenth century. Written by an Irishman, it teaches that colonial policy prefigures domestic policy. So with an air of the sacred, the broadside connects the Despard insurgency with the struggle for the commons. We can understand why government took an interest in it. When I described Catherine’s role in mercifully mollifying Despard’s death sentence to the labor history seminar at the University of Pittsburgh, Dennis Brutus, the South African poet, was moved to write a poem. That he was a friend to justice That he was on the side of truth That he was of the common man. And women nurture flames with their clustered hands: Many will look up to the scaffold and his dangling corps And walk away with their heads held high. 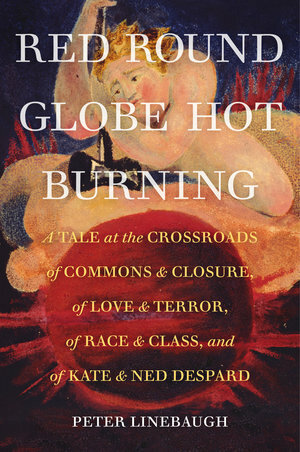 A monumental history, packed with a wealth of detail, Red Round Globe Hot Burning: A Tale at the Crossroads of Commons and CLosure, of Love and Terror, of Race and Class, and of Kate and Ned Despard, presents a comprehensive chronicle of the resistance to the demise of communal regimes. 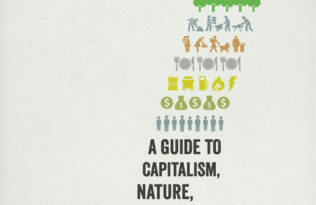 Peter Linebaugh’s extraordinary narrative recovers the death-defying heroism of extended networks of underground resisters fighting against privatization of the commons accomplished by two new political entities, the U.S.A. and the U.K., that we now know would dispossess people around the world through today. 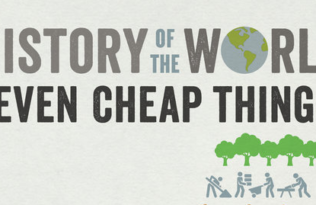 Read Peter Linebaugh’s introduction and save 30% with promo code 18W8495 today.